ALL CHILDREN DESERVE TO CELEBRATE THEIR BIRTHDAY | YALNA, "Nos enfants"
The Government’s regional Authority of the Batha Region, the European Union and UNICEF launched in May 2015, the programme ‘Promoting Decentralization and Civil Registration’. The two year-programme aims to strengthen civil registration and decentralization in the region. It will enable local authorities to make registration free and close the gap between rural and urban rates of civil registration through massive communication campaigns. Abba admits he changes his mind after the discussion: “I found out that it was free in the first five days after birth. When my son Ousman was born on June 7, Ousmane, I left the hospital the day after and went to the city hall to get his birth certificate” he proudly says. ‘I want my children to have more opportunities for their future”. 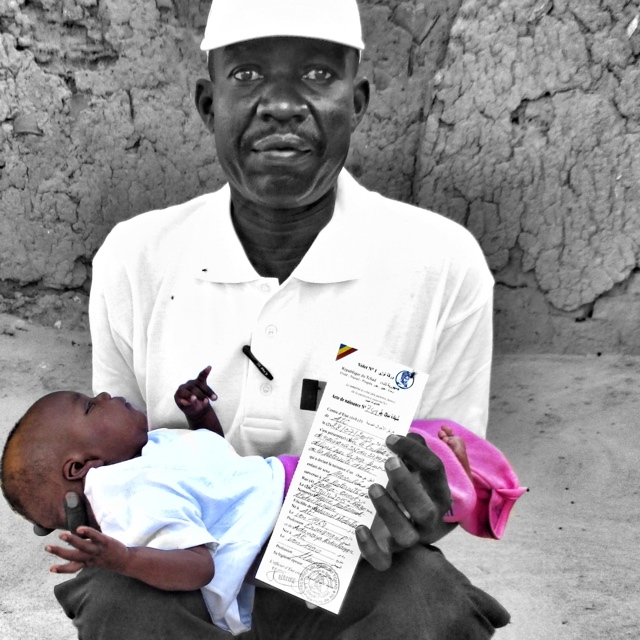 In Chad, only 16% of children under the age of five have their births registered. In the Batha Region, rural children are even less likely to be registered and are therefore invisible. They are at risk of being cut off from social services and legal protection, crucial to their survival and futures. Chad’s greatest resource is its children, representing 55% of the population. Without legal identities, children can be denied access to basic services such as schooling. Without details of their age, they cannot be easily protected against child labour, recruitment into armed forces or militias, human trafficking, early marriage and any form of exploitation. In addition to protecting children’s rights, birth registration is also considered as an important tool for national and state-level planning, as data collected through birth registration can be used to predict demand for health or education services. Article précédent«Etre Jeune Reporter ne m’a pas empêché d’obtenir mon baccalauréat »Article suivantLevons-nous pour dire « non » à l’excision !